The West African Examination Council [WAEC] wishes to inform all students who wish to apply for exam script remarking that they can do so by following the guidelines outlined. The review of scripts is done with a view to identifying the weaknesses of the candidates and correcting any defects in teaching and the way candidates tackle questions; for school-based examinations, requests for exam scripts remarking are entertained from heads of schools; Private candidates also may request for review of their own scripts. It must be noted that worked scripts are kept for only three months after the release of results. In view of this, all requests for review should be done within the stipulated period. The WAEC Exam Script Remarking is open to all WASSCE For School Candidates and WASSCE For Private Candidates. 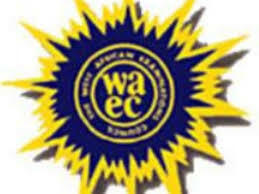 STEPS TO APPLY FOR WAEC EXAMINATION SCRIPT REMARKING- SCHOOL AND PRIVATE CANDIDATES. 2. A non-refundable fee of N10,000 [This Fee Is Reviewed Periodically] is ought to be deposited before complaints are lodged to the WAEC Office for School Candidates while for Private Candidates same deposit will be made before complaints are accepted. 3. Both Candidates seeking for Exam Script Remarking are to note that all complaints must be received 60 days after the release of the results, anything otherwise will not be attended to. NOTE: If the Exam Script are Remarked and Proved that the fault was from the Exam Body the non-refundable fee deposited will be refunded and apologies tendered to the affected candidate. The Examination Body also reserve the right to approve or reject the Examination Script Remarking Complaint being tendered. All Exam Script Remarking Requests must be submitted to the WAEC Senior Deputy Registrar/Head of Test Administration Division.